Case histories of narcotic addicts who also were imprisoned for felony were selected to illustrate some underlying dynamics of Cleckley's so-called psychopath and some principles useful in their management. 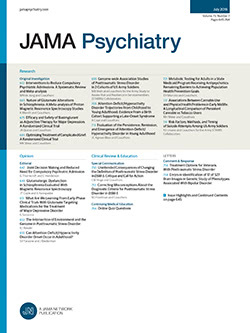 Often in outpatient settings, such individuals seem to be without anxiety, unable to experience depression, and without motivation for recovery; but in inpatient settings, such deficits appear illusory. Once such chronically sociopathic individuals are prevented from "running," their resemblance to individuals with severe but thoroughly "human" and comprehensible personality disorders becomes evident. In treatment, external controls are important. It is vital both to appreciate the contagion of the psychopath's invisible anxiety and to provide such individuals with alternative defenses with which to mitigate their depression. Finally, sociopaths must be realistically, but not punitively, confronted with the consequences of their behavior.